Time to file your Motion to Intervene! January 15, 2016 at 5pmET is the new deadline to file a Motion to Intervene in the Kinder Morgan NED pipeline proposal process. We have created a handout and slide presentation for everyone to use for workshops in their community, or for everyone to use at home, so that everyone we all have the opportunity to file. Kinder Morgan Tennessee Gas Pipeline filed their formal application for the proposed Northeast Energy Direct project as Docket CP16-21. PF14-22 is now inactive. The FERC filing can be found here on No Fracked Gas in Mass. Prepare to intervene. The 21-day window is anticipated to be 12-7 thru 12-28. Join us at the State House Nov 10th! No Public Lands for Pipelines! 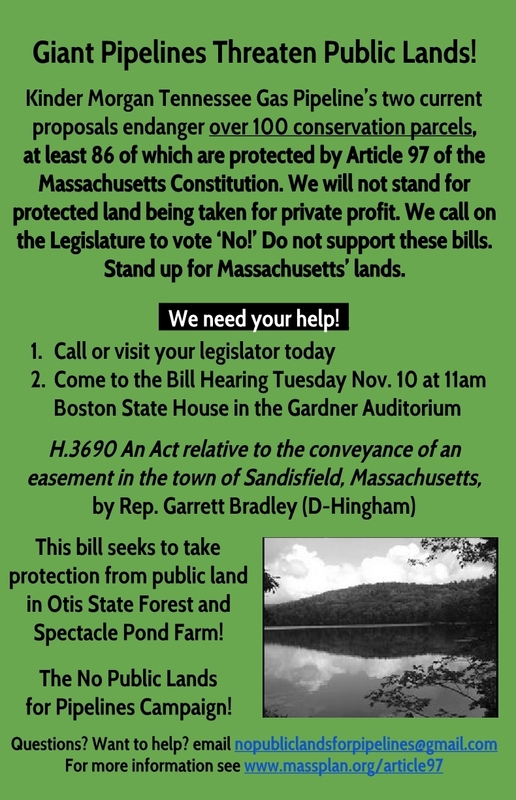 A hearing has been scheduled for H.3690, Representative Garrett Bradley (D – Hingham)’s bill to remove protections from Otis State Forest and Spectacle Pond Farm in Sandisfield for Kinder Morgan’s Connecticut Expansion project, on 11/10/2015 at 11:00am in the Massachusetts State House Gardner Auditorium. Please join us to tell the Joint Committee we do not support disposition of permanent protections our constitutionally protected public lands! Can’t join us? Call your legislators and tell them to vote No! Tell your friends to do the same. Help us to advertise the hearing by sharing this flyer. More info about Article 97 and the bill here. Last week, Rep. Sheila Harrington and her GOP legislator friends in the House commented to FERC about their commitment to a clean energy future and their thoughts on protecting constitutionally protected public lands. So, we sent her a thank you. Please join PLAN-NE to help intervene at the Mass DPU! Please help us, and our friends at PLAN-NE, get out the word that FERC is not the only game in town. 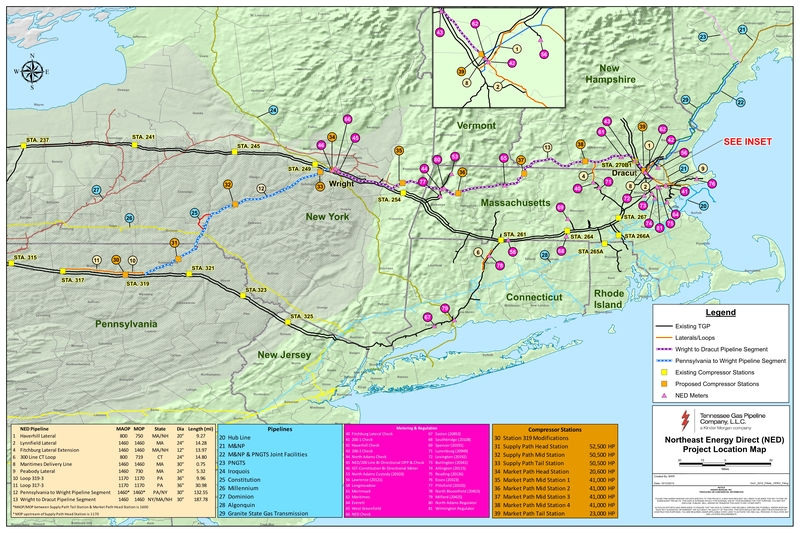 As you may know, the recently formed Pipe Line Awareness Network for the Northeast, Inc. (PLAN-NE) is engaging in state regulatory proceedings to challenge Kinder Morgan’s contracts with local gas distribution companies such as National Grid, Liberty Utilities, Berkshire Gas, and Columbia Gas. 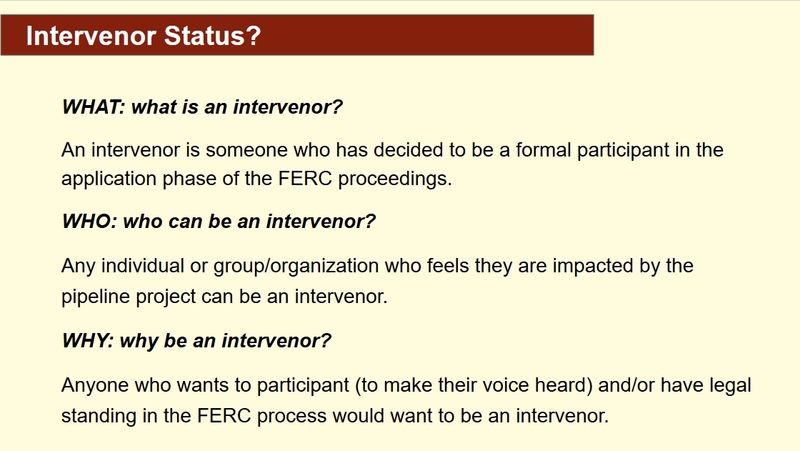 These sort of contracts are what FERC would look at to determine whether Kinder Morgan has established a “need” (market demand) for the pipeline. If Kinder Morgan does not receive state approval for each of these contracts, we believe it will be very difficult for them to proceed with the project. So far, technical review suggests that “need” is seriously overstated. ***Please become a member of PLAN-NE today by filling out this form! ***We also would like to collaborate with municipalities that are interested in intervening, and we can schedule a meeting with our attorney, Richard Kanoff, if this is something your municipal leaders would like to discuss. – File your own comments by May 5th per the official notice in the Columbia Gas and National Grid DPU proceedings. – Participate in the hearing in Boston on May 7th. The Docket Numbers to reference pertaining to these NED contracts (called “precedent agreements”) are DPU Docket No. 15-39 (Columbia Gas), 15-34 (National Grid), and 15-48 (Berkshire Gas – comments due May 22nd for this one; hearing May 26th). – Express your array of concerns regarding this oversized “solution” — environmental, economic, etc. – A targeted solution to reduce winter demand peaks would allow the utilities to expand their customer bases. The only capacity constraints we have heard about are during winter peak demand times (a few hours per day, a dozen or so days per year). These solutions include seriously addressing leaks in the distribution systems and helping with insulation and weatherization, as well as increased storage of alternative fuels for peak demand. – Request a stay of these precedent agreement proceedings until DPU Docket No. 15-37 has resolved the regulatory and legal framework relating to possible longterm contracts by electrical distribution companies. The outcome of this investigation could be a game changer in terms of the viability of Kinder Morgan’s proposal. Docket No. 15-37 is an investigation “into the means by which new natural gas delivery capacity may be added to the New England market, including actions to be taken by the electric distribution companies.” In other words, a major question on the table is how to get electric ratepayers to pay for new gas infrastructure (in addition to funding by gas ratepayers in conjunction with the precedent agreements currently under review). And please share this message with your local network. The StopNED Coalition’s Alternative Solutions Team has launched a petition to Massachusetts Governor Charlie Baker urging him to implement key policies regarding energy policy, natural gas, and climate change. Governor Baker is aggressively promoting natural-gas pipeline expansion for Massachusetts and New England. He is also championing statewide or regional tariffs on electric ratepayers to pay for new gas infrastructure. The petition was developed to send a message to the governor that citizens want and need policies that exclude greater use of natural gas or any fossil fuels. Any person or group who supports the goals in the petition is invited to circulate it. Please share widely! This petition has no deadline. 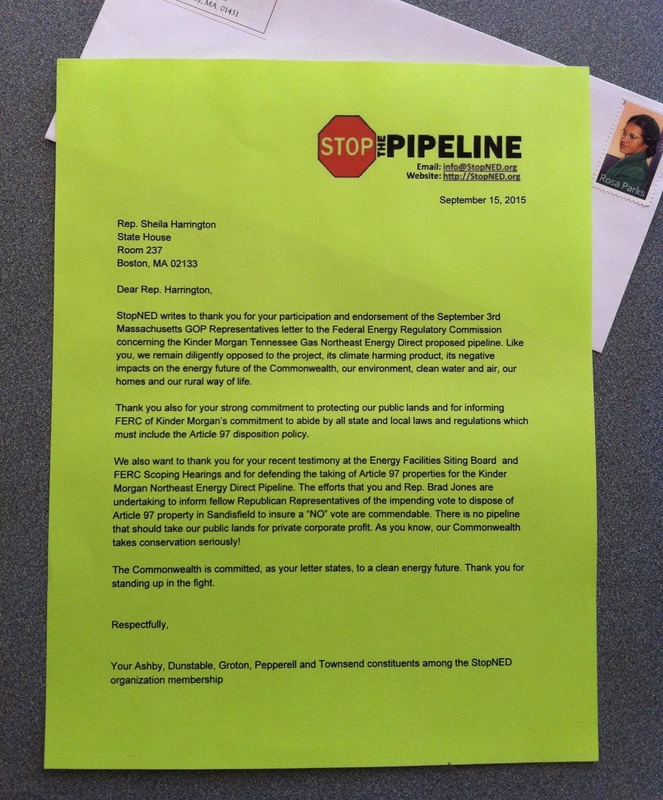 When you have a good batch of signatures, write to us at petition@stopned.org so we can arrange to pick them up. Or you may decide to deliver your signatures to the Governor directly. If you do, please keep copies of your signature pages, and let us know the count at petition@stopned.org. This is always where you can direct questions & comments. This petition is one of many ways to speak out to the Governor. Contact information for reaching Governor Baker via post card, letter, email, phone, FAX, or Tweet is listed below. Thank you for supporting a clean energy future! We want your Open House feedback! We have created a feedback form to consolidated input about open house experiences. Having all of this data in one place will help us find inconsistencies in the answers people were given by Kinder Morgan, and help prepare for scoping hearings.